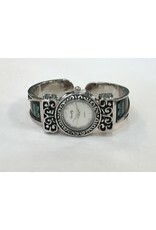 These fun and attractive bracelet watches will be a perfect accent to any Herd Lady's wardrobe. The watch itself is stainless steel and has a waterproof back. 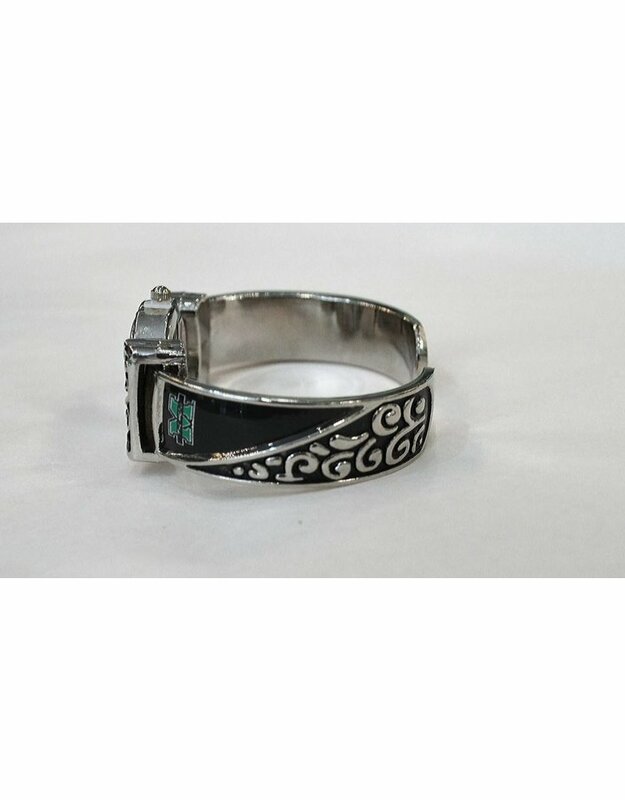 The bands are metal with enamel color applied. Six different styles--there will be one to fit your taste. 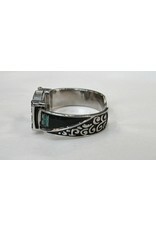 Each watch band is a open-back, spring-loaded band, assuring that these will fit most anyone. 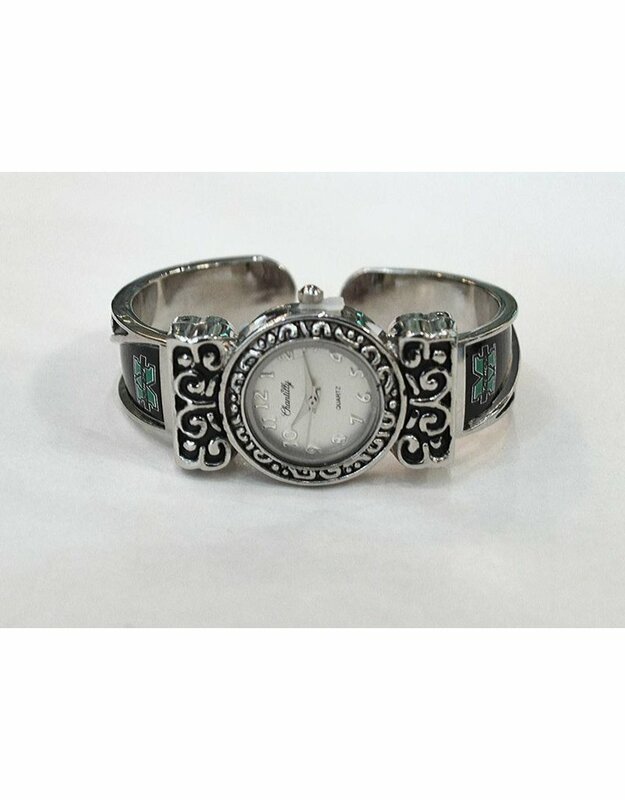 This watch features a large square silver-toned face on a silver cuff.